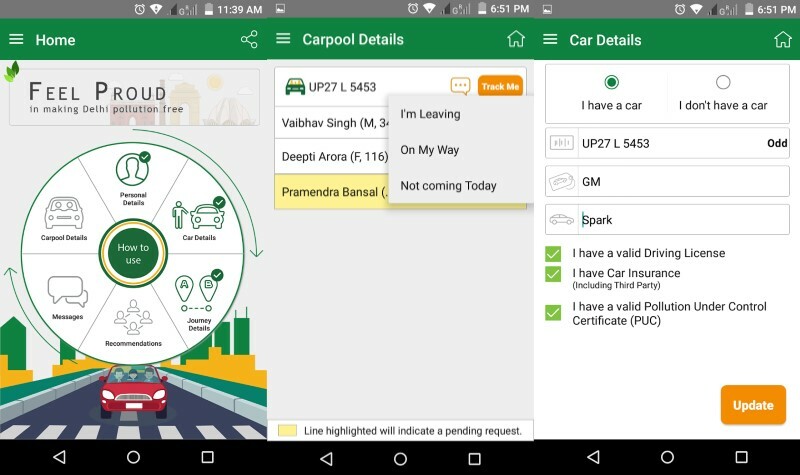 Delhi Transport Minister Gopal Rai on Tuesday launched a app called “PoochO Carpool” to give people more options for carpooling during the second phase of the odd-even traffic scheme to be implemented in the national capital from April 15 to 30. Launching the app, Rai said it would help users find carpool options within a radius of 1-5km. “This app will help users a lot during the odd-even scheme. Fathers going to school to pick up their children in the afternoon can opt for carpooling with the help of this app,” he said. Rai said the app would have a chat feature that will help users communicate with the car driver without even mentioning their numbers which would ensure safety to the women users. “PoochO Carpool” has been developed by the Delhi Integrated Multi-Modal Transit System (DIMTS) and Android users can download it on the Google Play store. Under the odd-even scheme, petrol and diesel driven vehicles with odd and even registration numbers will ply on alternate dates. The scheme is not applicable to CNG vehicles, two-wheelers, women motorists, cars carrying school children in uniform and several kinds of VIPs. Violators will attract a penalty of Rs. 2,000.